Home » Software » What is a Firewall and Why is it Important? 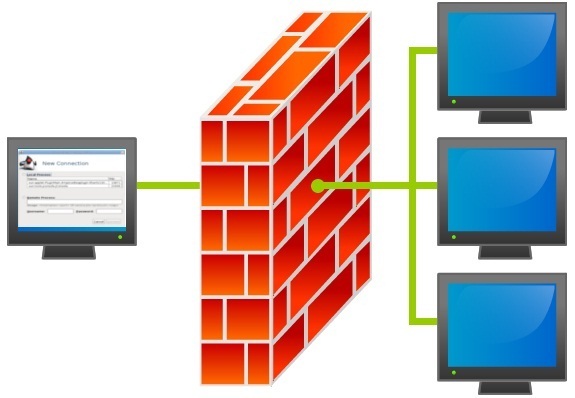 What is a Firewall and Why is it Important? Much like a physical firewall which is a set of doors designed to designed to contain a fire to one area in order to prevent a whole building from being destroyed, the purpose of an Internet Firewall is to shut off access to your operating system or other computers that are connected to your network in the event of a virus or malicious malware. A firewall is something that the user of a computer is responsible for installing and checking. Just as any other control function on a computer can be altered, the settings on a firewall can be altered as well. Internet Security Experts say that the best way to stay safe online is to only visit sites that you trust and know are secure, although in this case it is still useful to have a firewall, even though less filtering out of dangerous content is taking place. Why is a Firewall Important? Regardless of the advice given by internet security experts, the typical internet user visits many more sites than just those that they trust and know to be secure, which is why a firewall is crucial for anybody who uses the internet for browsing on their computer. The majority of internet users use the internet for things such as doing business, browsing topics, research, online shopping, social networking and more – which is why a firewall is important as you cannot be sure that every site that you visit for these purposes will be secure. With a good internet firewall you are constantly being protected from the spread of hacker dangers – and many times you won’t even be aware of it. Setting up and installing a firewall is actually quite simple. Most computers come with a firewall program installed, meaning that all there is left for the user to do is set the firewall’s settings. By doing this, the user can decide how much individual content they would like the firewall to filter through and predetermine which websites are safe to use. In some cases, users will have a very lax knowledge of what should and shouldn’t be allowed to pass through the filter whilst other users will be able to name specific sites by name, therefore not allowing any other unnamed site to pass through. This feature is especially useful for parents who would like to allow small children to use the internet but are worried about what they may stumble upon. The importance of a firewall is imperative, no matter which kind of internet user you are. Different users have different uses for a firewall, with personal users valuing a firewall for its ability to keep private information secure and prevent identity theft, whereas business users and enterprise IT security benefit from a managed firewall such as Masergy because of its ability to keep theirs and their customer’s personal electronic information secure on the web. If your computer does not have a firewall program set up, now is the time to do so! Without a firewall you are exposing yourself to a number of different threats.